Discussion in 'General Discussions & Opinions' started by ECG, Mar 7, 2010. 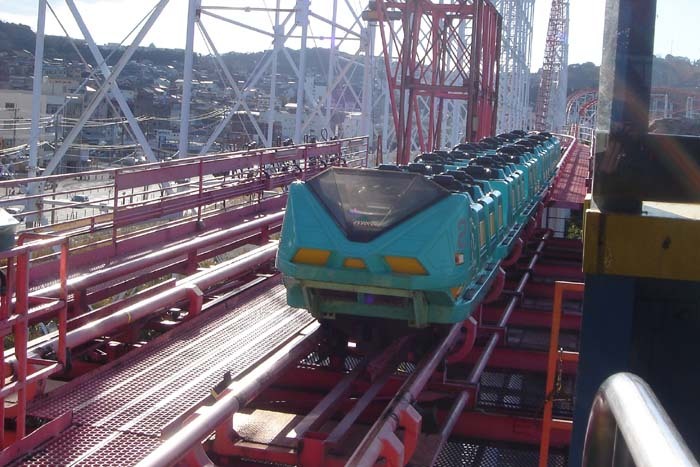 Ever noticed something out of the ordinary about a coaster? Whether it's a part of a train, track, support, queue, station or some other bit of uniqueness - this is the place to post it for others to see & discuss. I'll start it off with one of my favorite all-time supports found on Great Bear at Hersheypark. 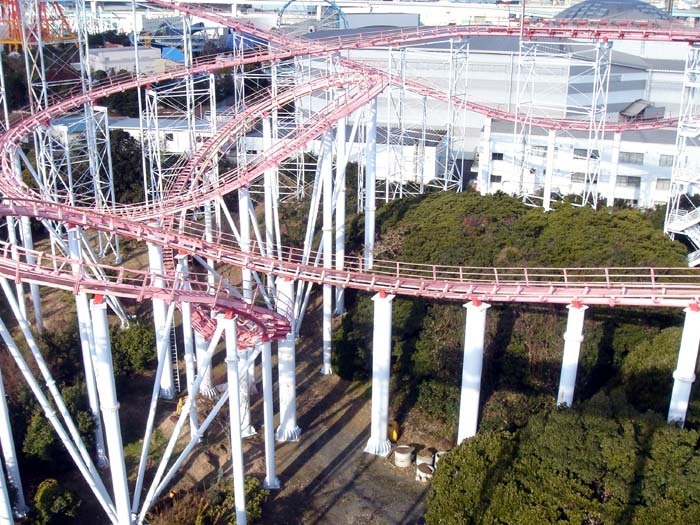 I've never seen one like it on any other coaster. It looks diferent in almost every way than the other supports, WHY would they do that? ^It's because they weren't allowed to built anything in the lake, but the coaster layout went over it partially, so they had to get creative. Rush has smiley pressure release valves. It's more like a small river. Vortex as KI's banking after the first drop.. nice job Arrow. Man, there are lots of examples of Arrow doing weird things. When I read the first post in this thread I immediately thought of the section right after Anaconda's MCBR at Kings Dominion. What exactly was Mr. Toomer going for here? These two 'rings' (for lack of a better word) aren't exactly helices and they combine poor heartlining with an awkward semi-drop in between. Combined with the fact that the MCBR pretty much brings the train to a dead stop, the element is altogether pretty forceless and pointless. The ride is effectively over after the sidewinder, which is a real shame because the drop under the water and the first two elements probably make one of the best Arrow looper beginnings. :? The second corkscrew shown was removed it was so badly done. 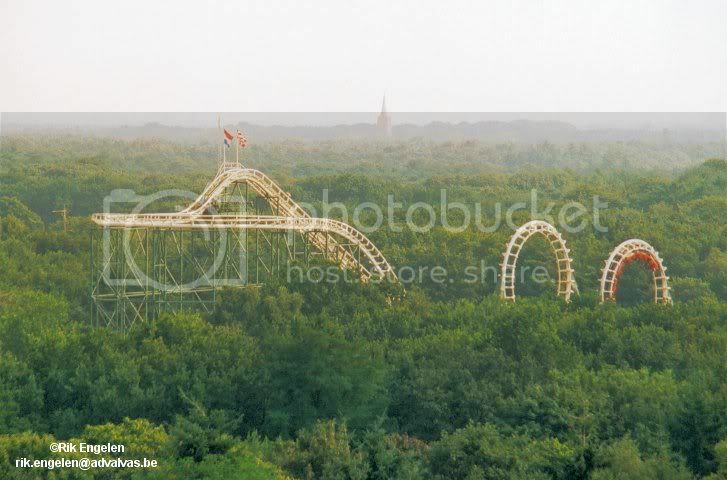 Saying that, I'd LOVE to have ridden it just for the mad layout. 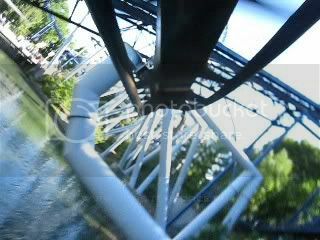 The Cobra roll on Cobra at Tivoli Friheden is completely insane and oddly shaped. In fact, the whole ride is. Most of Hydra at Dorney. Barrel roll out of the station, weird inversions, ect. 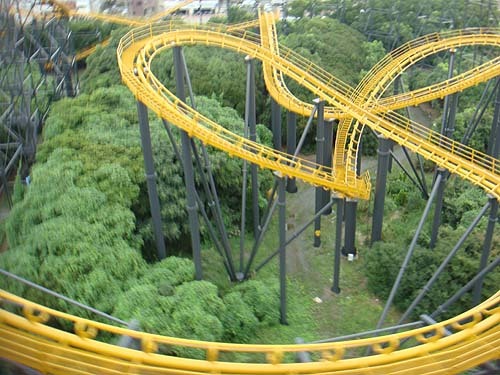 Especially the heavily banked cobra roll. I find it quite weird. But them helix' are pretty messed up! I only find the one on the far right unusual, as all these supports should be like the other two since Great Bear is an invert.